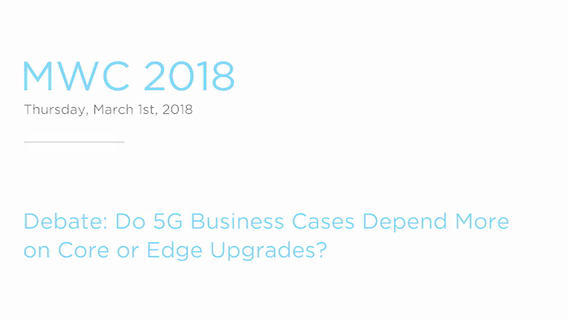 MWC18 Session "Debate: Do 5G Business Cases Depend More on Core or Edge Upgrades? This MWC18 panel debate features industry leaders from China Telecom, Affirmed Networks, 3GPP, Qualcomm, ECI Telecom, ZTE and InterDigital discussing core versus edge; what evolution will be more important; just how intertwined will it be; and where will the greatest value be derived. Discover InterDigital's role in Beyond 5G in this MWC19 presentation. View the slides from our demonstration of 5G Edge Mission Critical Automation from MWC19!